The origins of the aurora are right back at the Sun. The Sun is always throwing out charged particles – a moving plasma that we call the solar wind. Notice how huge the CME is. The Sun is the turquoise blob in the centre of the screen, and it is throwing out billions of tonnes of matter at millions of miles per hour into the solar system. We and all the other planets in the solar system sit in this turbulent sea of plasma. 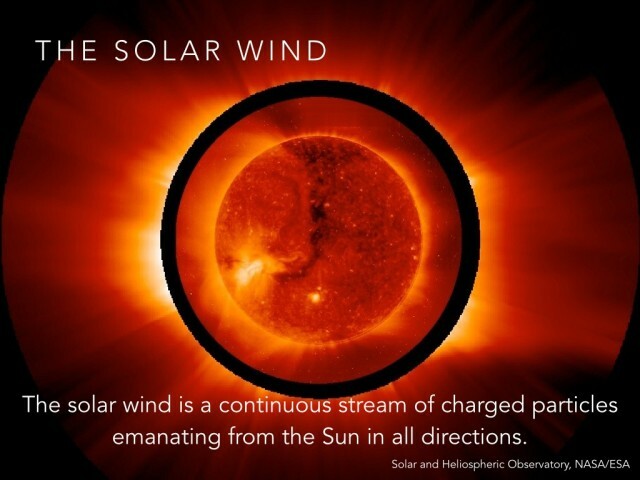 This solar wind is constantly buffeting the Earth, sometimes weakly, sometimes strongly. All these fast charged particles would be dangerous to life, but the Earth has a magnetic field, which forms a protective magnetic shield called the magnetosphere. The solar wind is deflected around the magnetosphere when it hits Earth, but it also transmits some of its energy to the magnetosphere – it’s like it pumps it up, or sets it ringing like a bell. 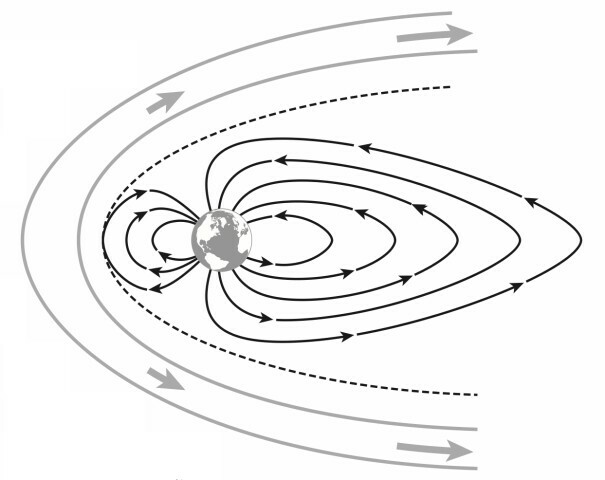 The magnetic field pattern of the magnetosphere is changed during this process. Field lines from the front of the Earth are dragged round to the back, where the “tail” of the magnetosphere is squashed so much that magnetic fields break explosively and catapult electrons from within the system to Earth. This explosive breaking and rejoining of field lines is called “magnetic reconnection” and it is this that accelerates electrons into our atmosphere. Watch this great NASA video to get a feel for what is happening during this process. https://www.youtube.com/watch?v=JZcSEdz54k0When the accelerated electrons hit the Earth’s upper atmosphere they bash into oxygen and nitrogen atoms in the air and “excite” them. 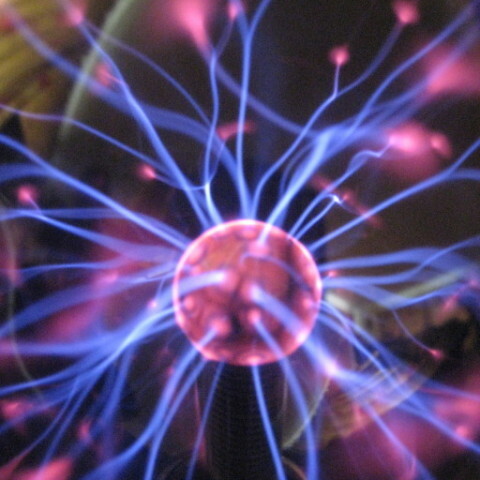 This means that the incoming electrons give the atoms some of their energy. The atoms then release this extra energy as light, which we see as the aurora. Here is an animation I made to show what is happening inside the atoms. 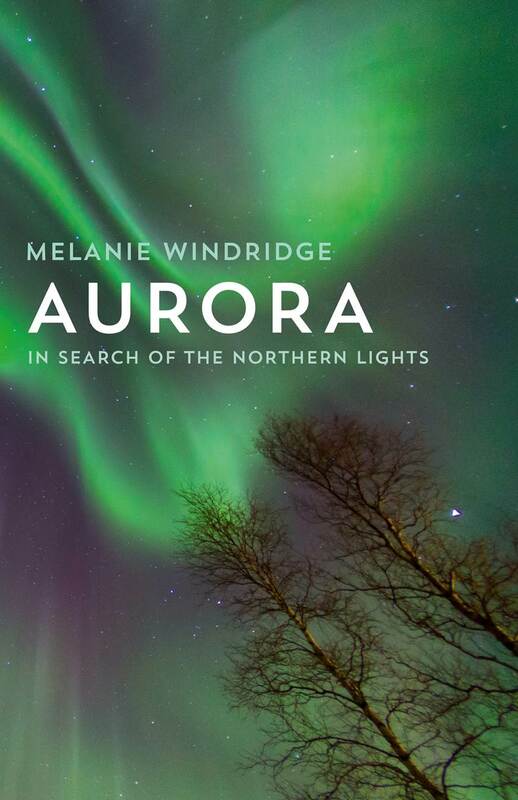 https://www.youtube.com/watch?v=wWyABzlsxpAIf you want more information and a narrative journey of discovery through the history, art, science and landscapes of the aurora then do read the book!